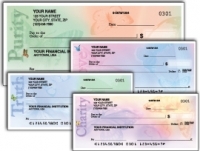 When you are tired of your old checks, you can find plenty of new personal checks designs. 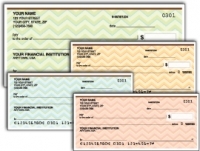 Bright with color and bursting with interesting themes, our new checks are artfully and exquisitely designed. 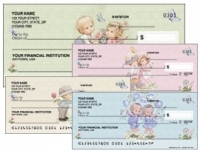 Because time never stands still, someone is always submitting new personal check designs to see if they will be your next favorite checks. We get new checks in on a regular basis from interesting and talented artists. 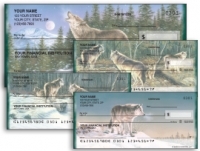 Unique check designs make the check printing business interesting to follow. Train lovers can choose among new checks that feature both old steam engines to more modern diesels. Those who tend to the silly can browse among overall polka dots or alphabet letters to a funky frog caught in mid-bath. Or, if it isn't carrying the checks-as-cash thing too far, choose a set imprinted with likenesses of hundred dollar bills. The American standby, denim jeans, makes artistic use of classic pocket rivets. Feathers, gemstones and a slew of floral designs, both photographic and artistic, offer fresh approaches to standard favorites. 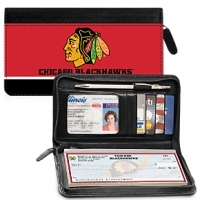 Sports fans can choose among a broader selection of team colors, helmets, equipment and settings for everything from hot-air balloons to golf, with all the standard favorites in between. 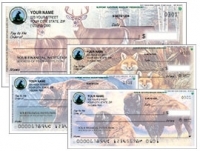 And the never-ending appeal of wild animals just grows better when new check designs come up for consideration. It's mind-boggling. You choose. 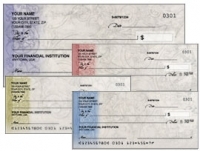 Cool Checks will get notified of any new check designs every few weeks. We try to keep this page full of the new products that come out.